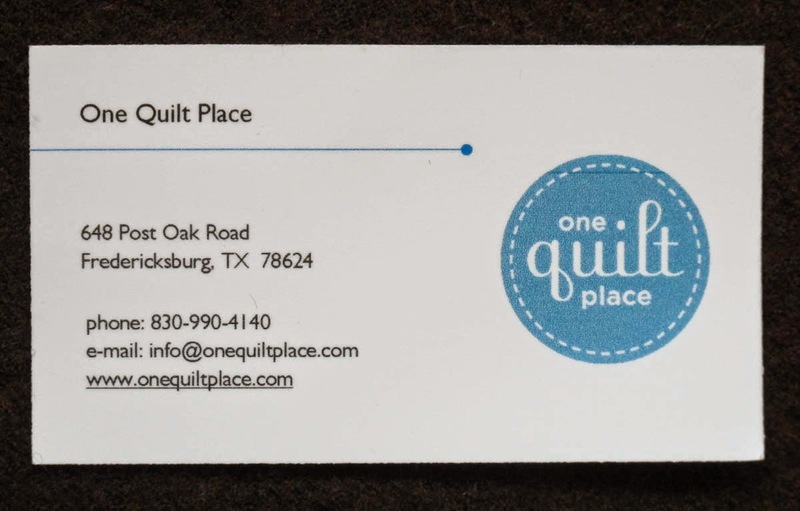 be sure and stop in at One Quilt Place in historic Fredericksburg. 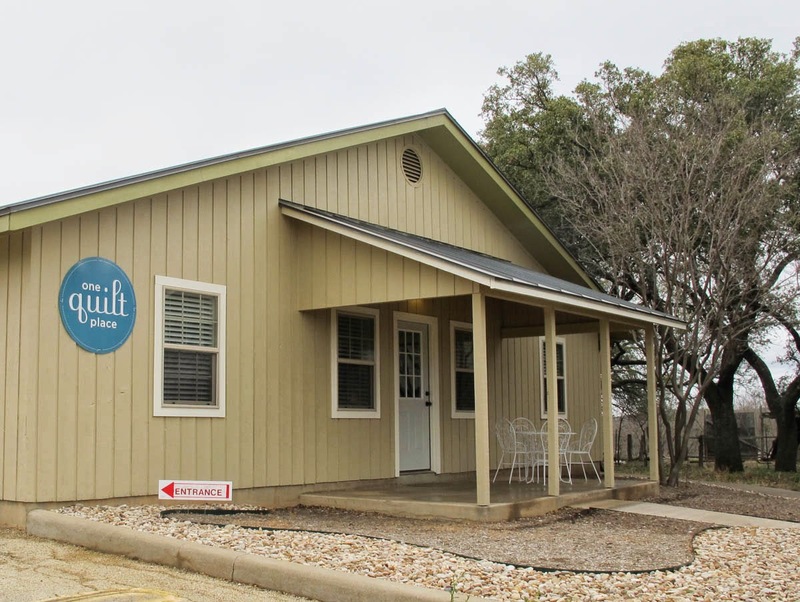 Owner Beverly Allen purchased the local quilt shop and promptly set about the construction of 3 new buildings including the shop itself, a studio for classes, and a cottage for quilting getaways. So everything is bright and cheerful and brand new. Beverly tripled the inventory, hired new shop attendants and teachers and set about planning classes and events. 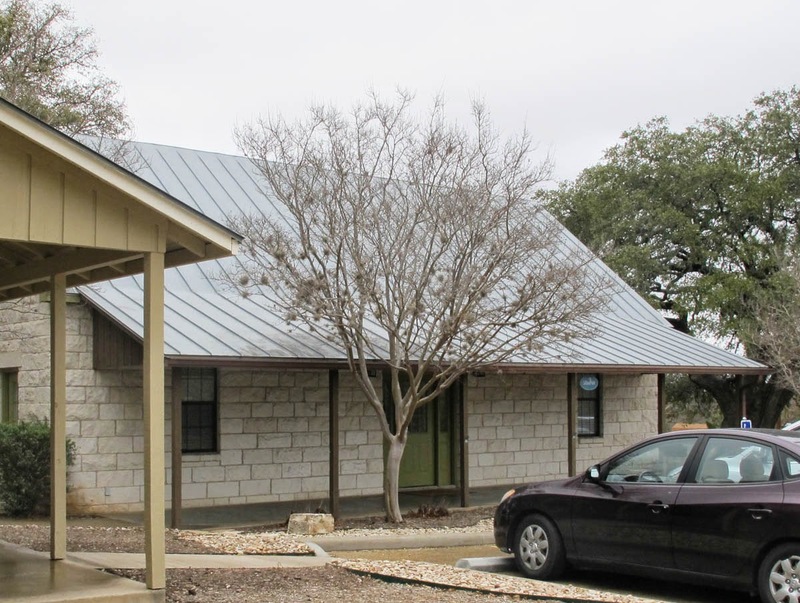 The cottage for a quilting getaway. 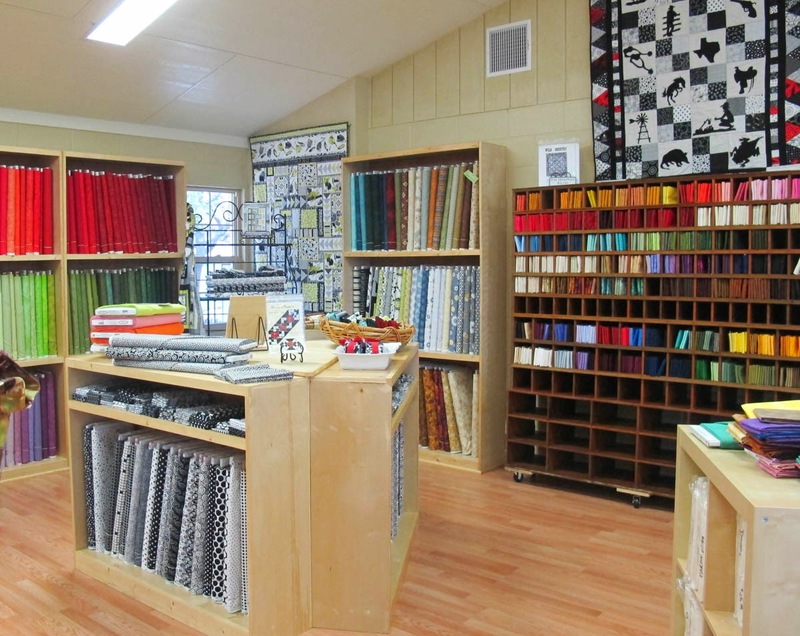 The studio for classes and quilting. hubbies or non-quilting friends there is a TV and a coffee bar to keep them entertained. 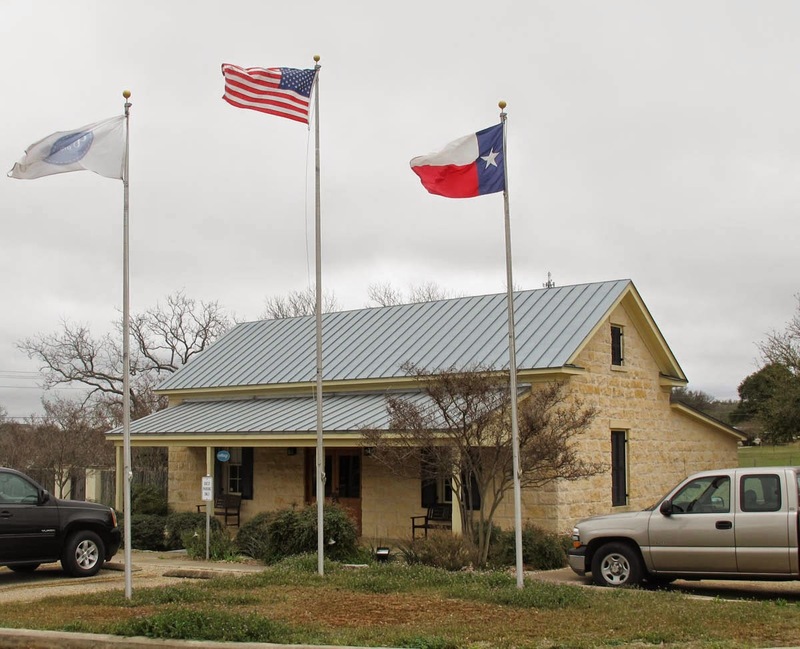 Fabrics include Batiks, civil war reproductions, 1930s prints, Texas and wildflower prints, and numerous new and seasonal collections. 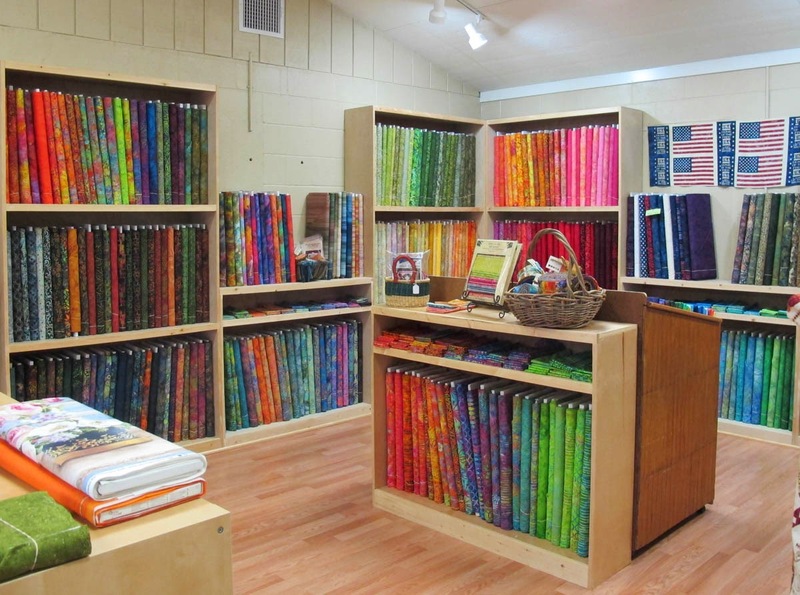 Also the shop is now a rep for the Handi Quilter. 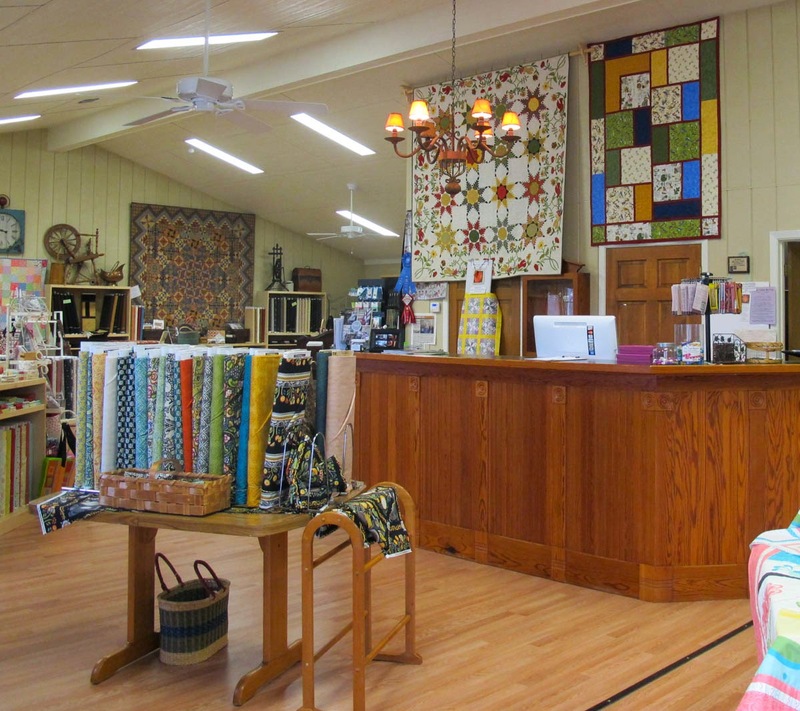 Antiques are used throughout the shop for display and decoration. The bed pictured belonged to Beverly's grandparents. 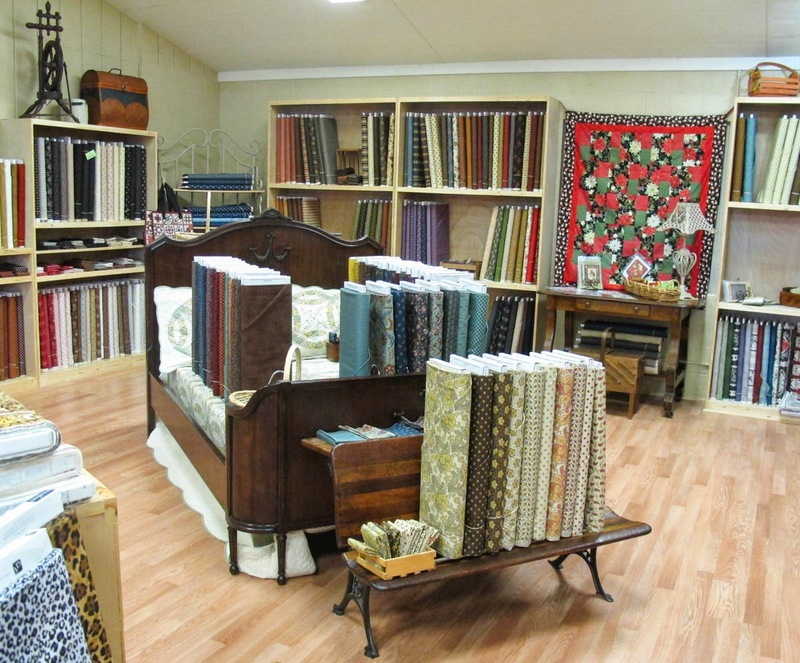 It fits in beautifully with the fabrics featured in this area of the shop. Notice the old spinning wheel on the shelf, upper left. Beautiful old Hoosier cabinet used for display next to the front door. 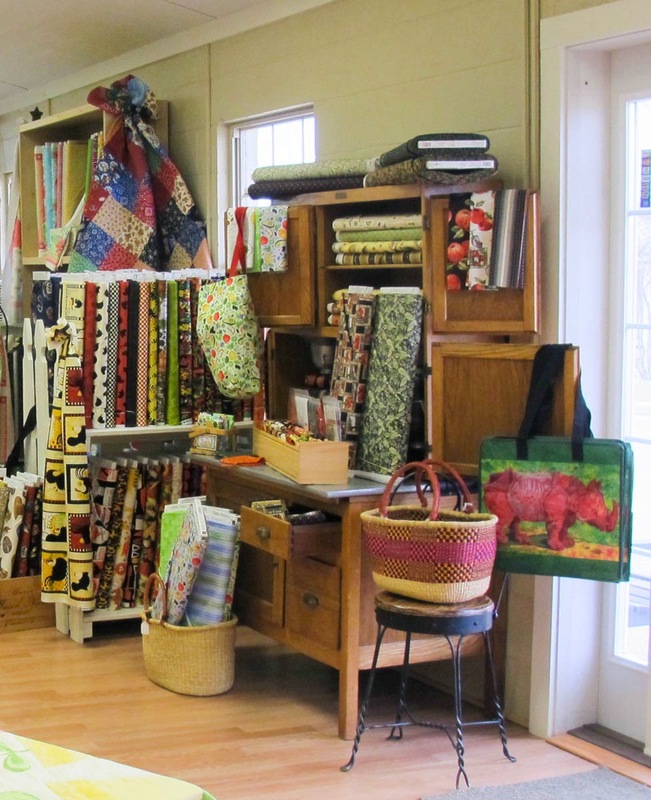 This is shop owner Beverly pictured with a very special quilt. Designed and created by 23 members of the local Vereins Quilt Guild as a donation quilt, it was selected as an entry for the Nov. '13 IQA Quilt Festival in Houston. It is called "Celebration of Feathered Stars and Wildflowers" and features 16 paper-pieced feathered stars with hand appliqued and embroidered borders. 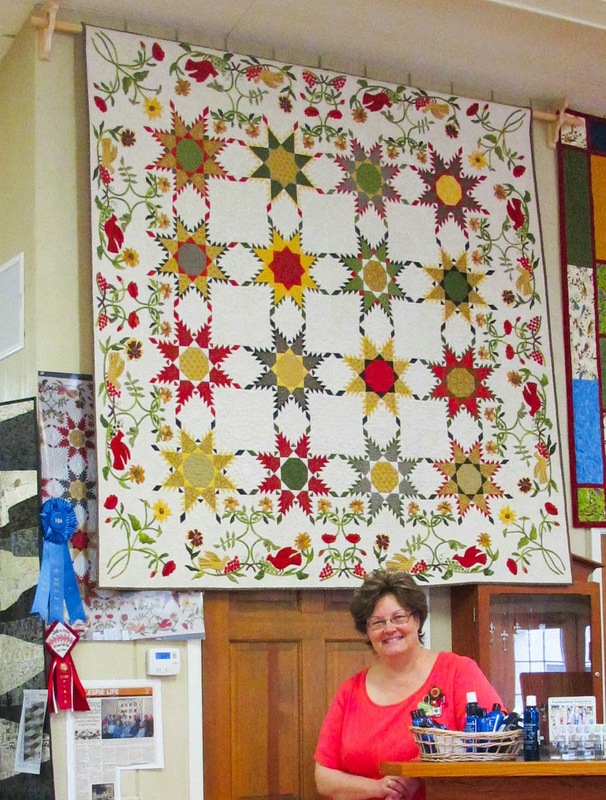 The members were amazed when the quilt was awarded 1st Place in the group quilt category. Appraised at close to $6000, the quilt will be raffled this Labor Day weekend at the guilds biennial quilt show. Tickets are $1 each or 6 for $5 and can be purchased by calling the shop. See the shops business card below for the phone # and other information.